So you've got a phone, a smartphone, and you're bored. 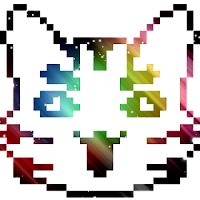 When you're not reading our blog here at the Otaku Reviewers, there's a ton of games to play for procrastination, time wasting, and between the scenes fun. I mean, that's just only if you think its right to spend your time playing more phone games than on other fancy websites like Youtube. That and not to sound rude but you deserve a break of your very own, if you feel like the times are catching up to you and Hillary (remember election 2016) did not help you feel like a true pop culture enthusiast but like something else entirely. 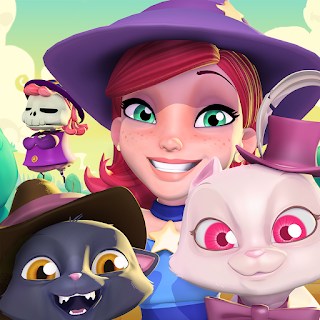 It's Bubble Witch to the rescue with some anime flair, intelligent-socialite cats, fairies, pimpin your places, and last but certainly not least, "Stella the Witch". What game are you playing now? 2p for SNES! That reminds us, there's the old-school hit "Bust-a-Move" for SNES that reminisces just like the Bubble Witch series. Wildly popular, rented at high rates on Fridays, etc and etc, that was the greatness of Bust-A-Move. The one-player which could also be a two-player (or more if you bought cheat cartridges) was great, no complaints just TVs getting hot to the touch way before LED screens brought out the flatscreen. The trip back to Blockbuster was great! 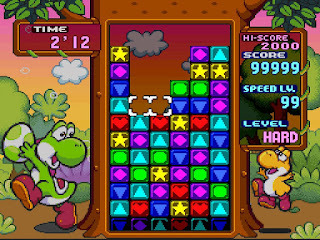 Yoshi's Tetris Attack time trial, all you can play fun up to speed lvl 99! 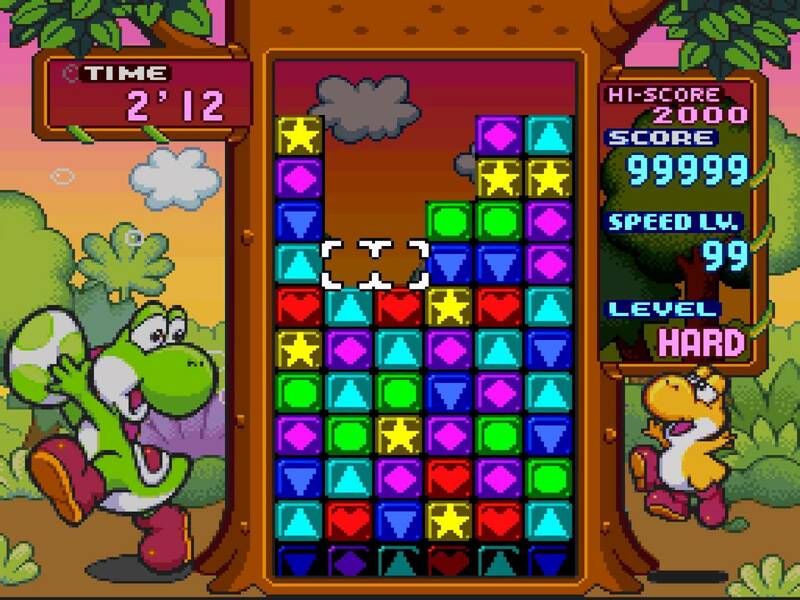 If that's not enough to change your mind on Bubble Witch 3, you could remember Yoshi's Tetris Attack for SNES. Also a 2 player, if you liked that stuff that is. It is wildly awesome, just find somebody to play it with, right? Also you could have rented it at any Blockbuster or Hollywood Video you wanted to. The idea here, they were great games and you could get real competitive with the story and with friends. What happens when you're alone with your smartphone and you want to get that same happy feeling? 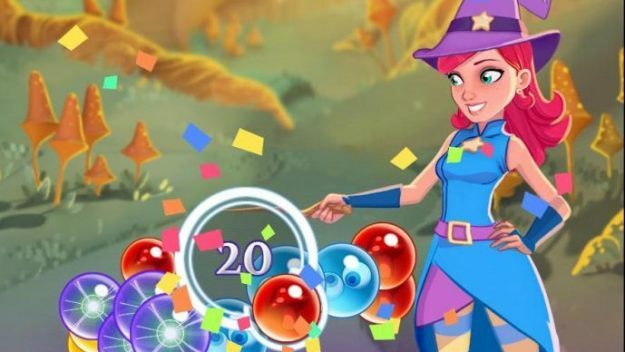 The long answer, for long lasting, abounding joy is Final Fantasy XIII but the shorter answer is definitely Bubble Witch 3 on your phone. Instant gratification is in the animation style, scene progression, and sound fx. Not to mention within the computer programming code thats helping you see them all surprise you with bubble busting, Wilbur beating fun! 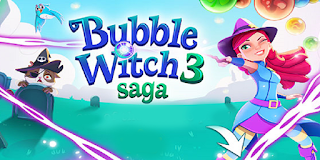 Play "Bubble Witch 3" on Your Phone! 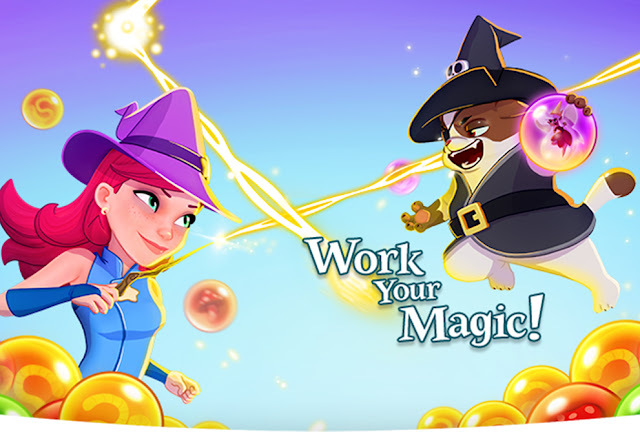 Want to get more games?